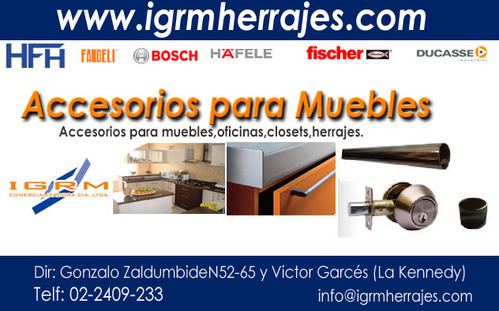 Distributors and importers of accessories for kitchens. We are distributors and importers of kitchen furniture accessories, office furniture accessories, closet accessories, supplies and hardware in general. locks, silloneria, screws and accessories, lighting, glue, sandpaper, tiraderas and tubes.